In the third instalment of CMO’s series on marketing chiefs at fast-growing companies, we talk to Andrew Cocker, CMO of global travel search site Skyscanner about being the company’s first board-level marketing chief, building a marketing strategy, and why the company is doubling the size of its marketing team. 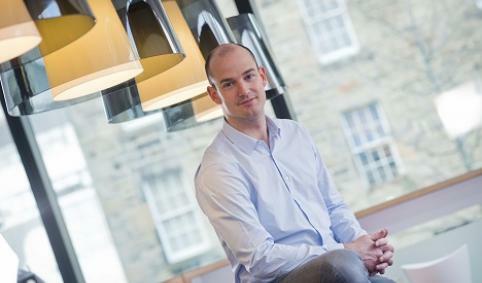 Andrew Cocker was appointed the inaugural CMO of online flight search specialist Skyscanner in March after six years with Yahoo in senior brand and marketing roles. He claims it was quickly apparent that he shared a vision for how the brand could develop and grow with the founders and senior leadership team. “We’re growing at over 100 per cent year-on-year and there’s a tremendous opportunity to accelerate that growth by building a strong dynamic brand with a world-class marketing strategy,” he told CMO. Skyscanner is a fast-moving start-up, taking £2.5m (A$3.77m) in its first-round funding in 2007 and growing profitably since then through its own P&L. Recent milestones include nine million flights booked, 30 million users each month, and 20 million app downloads on smartphones worldwide. Cocker claimed it is rare to find a business in such good health, ready to take the next step in growth and investing in the marketing function to achieve it. “Skyscanner has gone through a sustained period of strong growth, a great deal of it through word of mouth, suggesting it’s a market-leading product people actively enjoy sharing with their friends,” he said. Cocker has spent his first couple of months analysing the current structure and putting together an aggressive hiring plan. Skyscanner has 25 people in marketing but expects to at least double that figure by the end of the year as it expands into new markets while also increasing its focus on existing teams. “Team management and instilling my own culture is a big part of the role, as I work with the excellent team we already have in place,” Cocker continued. “My role will obviously evolve over time but the first thing for me has been getting to know people across the organisation, getting up to speed with the product pipeline, and understanding what’s coming up now and in the future. Rapid-growth companies such as Skyscanner present a range of different challenges for senior management compared with more established brands such as Yahoo, and Cocker claimed change is “relentless”. Among his top priorities over the next 12 months are better positioning the brand, gaining a more in-depth understanding of customers through segmentation, managing the growing marketing team and developing a global marketing strategy. To date, Skyscanner has been able to get to the number one spot in travel search sites in Europe without any above the line advertising spend. Instead, it has heavily focused on digital channels, something Cocker expects to adapt as his strategy matures. The key measurement distinction between Skyscanner and Yahoo is that customers actually make a purchase through the flight comparison site. However, Cocker claimed both companies shared similarities around building engaged users that return, and in their efforts to increase overall awareness and relevancy in a crowded marketplace. Technology will also play a big role in how Skyscanner goes to market, and Cocker said the company is looking to improve investments in this area, whether it be analytics, CRM, mobile or digital capabilities. As Skyscanner’s first CMO, Cocker plans to draw on his proven track record in hiring and developing a world-class team with the ability to scale at speed. He claimed the rapidly growing and digitally-focused company required a sophisticated level of expertise across the marketing mix and in-depth knowledge of the online ecosystem. “It’s about being data and insight driven, balanced with an excellent eye for creativity,” Cocker said. Other capabilities he claimed successful CMOs should have include a combination of setting the strategic agenda for the business while being strong operationally, and an ability to quickly gain the respect of all major stakeholders, from the board and senior leadership team all the way through the company. “You also need to have boundless energy and a willingness to roll up the sleeves and get into the detail,” Cocker added. Given Skyscanner’s ambitious agenda and exponential growth so far, Cocker is in for a rapid flight. Skyscanner launched in Edinburgh in 2003 and is designed to collect, collate and compare prices for every commercial flight in the world. The company became the number one flight search engine in Europe, then worldwide, and has since opened offices in Singapore, Beijing, Glasgow with plans for an office in Miami this year. The search offering is available in more than 30 different languages and operates in 40 countries, with over 50,000 visitors per month. Fifty-five per cent of visitors are repeat users of the site. Skyscanner recorded US$3.5bn in downstream flight bookings in the last 12 months, representing nine million flights.